Bajaj has launched a new Discover (yet another one) and have called it the new 125 with an M suffix. 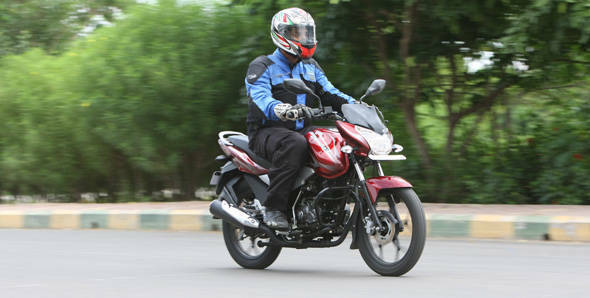 With 'new' Discover 125M, Bajaj now has a total of seven Discos on sale including the 'old' 100 and 125. So how to tell which Discover 125 is which? We have made it simple for you. Scroll down. There is no differentiating this from the Discover 100 apart for the stickers and the front disc brake. Let's start with the oldest model on offer here. It is more rounded than the other Discovers on this page. The bikini fairing looks a bit of Batman-ish from the sides. The tank unit is also round and so are the side panels. The tail lamp is a LED unit. This variant also has a black grab rail. There is no differentiating this from its lowly 100 brethren apart for the stickers and the optional front disc brake. The 125 even has the same fuel tank capacity- 8l. The 124.6cc engine makes 11PS and 10.8Nm of power and torque respectively. Transmission is a five cog unit. Bajaj claims a true top speed of 100kmph for this motorcycle. Production of this motorcycle though has stopped now and dealers are looking to clear inventory. This was the original new platform Discover. It gets a refreshed look than the 'old' 125 and features flatter panels. Even the grab rail is longish and flat. The tail pipe unit is stylish. The rear tyre has a hugger like the bigger Pulsars. The Discover 125ST has a new 124.6cc 4-valve engine which makes 13PS, which is similar to the power which the old Pulsar 150DTS-i used to make. Power is transferred via five gears and Bajaj says that the 125ST hits a top speed of 105kmph. Here also, the front 200mm disc is an optional unit. It weighs 124.5kg. It also has a monoshock suspension, the first in its class and in the Discover family. A mileage and price conscious variant of the 125ST was launched later which had the 'S' moniker dropped from its name. It looks similar to the 125ST and the two significant changes are the missing monoshock and rear tyre hugger. 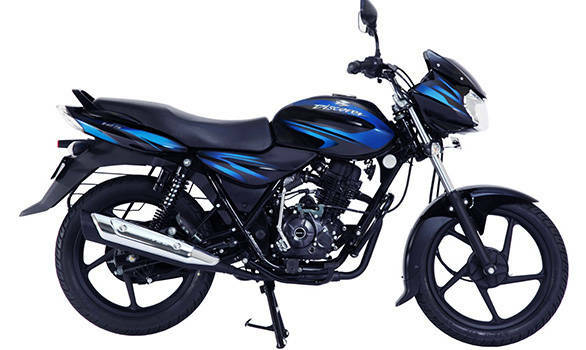 Bajaj has added its twin Nitrox suspension in place of the monoshock to keep costs low. The 125cc engine from the ST was detuned to make 0.5PS less. But even then it laid claim to a 105kmph top speed. This variant of the Discover claims to deliver 77.1kmpl. 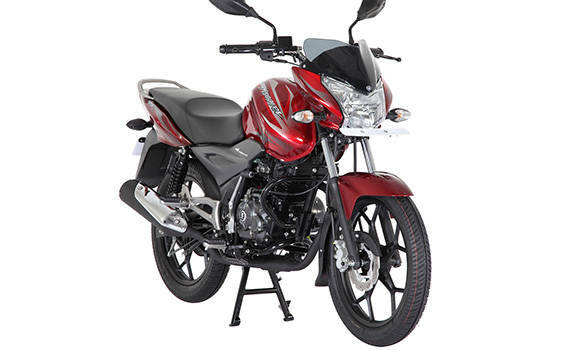 Bajaj's website still prefers to call this as the New Discover but company officials says that this is the 125M. With a wheelbase similar to the 100M and shorter by the 125ST by 50mm, the 125M is the new entry-level commuter in Bajaj's 125cc portfolio. It is differentiated from the 125T and 125ST by virtue of a shorter fairing, tank and new graphics. It also misses out on a tripmeter. The difference in the length of the chassis though isn't that evident. The seat is also a flatter unit. The power from the 124cc 4-valve twin spark engine is now detuned to make 11.5PS but torque at 10.8Nm is still the same as the ST's. It is also the only Discover to come mated to a 4-speed all-up shift pattern gearbox. Bajaj claims real world fuel efficiency of 60-65kmpl with the 125M, the highest amongst all its peers. 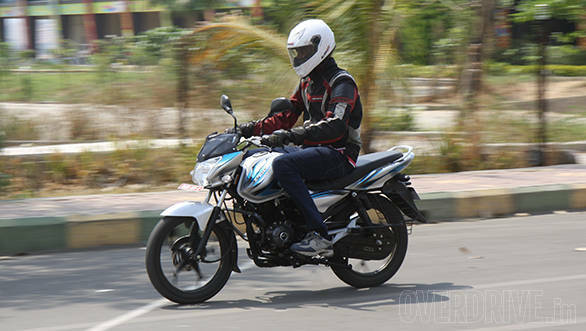 Now Bajaj is testing a 150cc Discover. We will, in all likelihood, soon return to give tips on how to tell apart Discover 150s. Stay tuned.